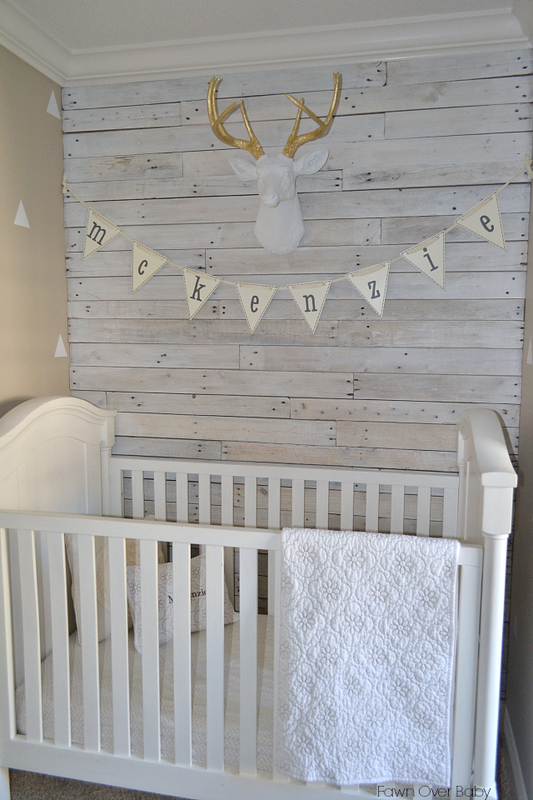 Fawn Over Baby: McKenzie's Nursery #2 Revealed! 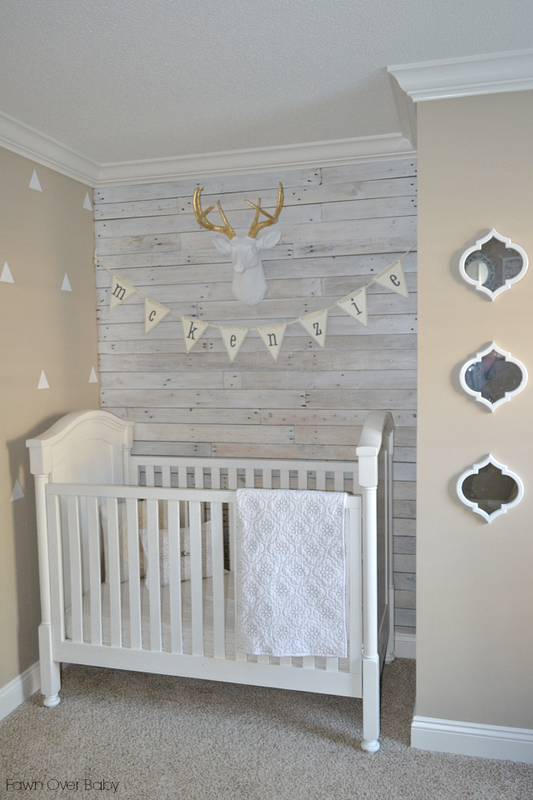 I enlisted my husband to help me create this Pallet Wall to help define the little nook that conveniently fit her crib perfectly. 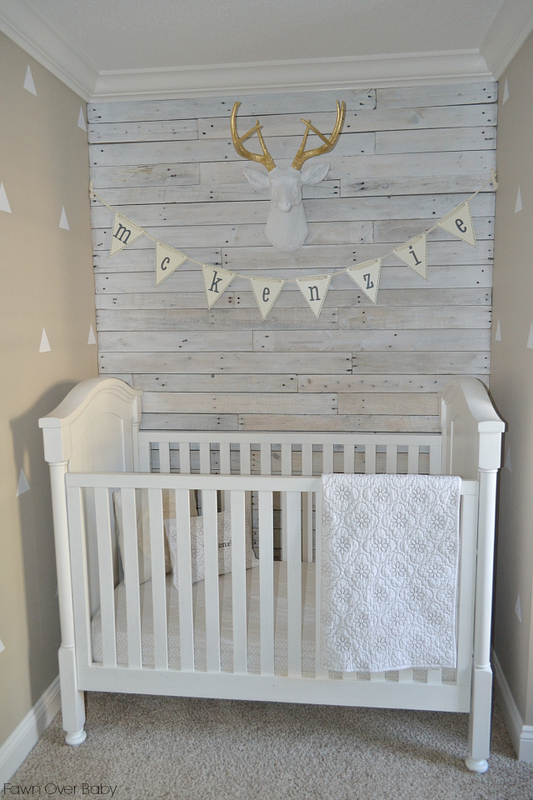 The pallet wall adds a little touch of rustic to her girly chic theme and it pairs wonderfully with ALFRED The Deer Head from White Faux Taxidermy and the adorable Wooden Flag Letters from New Arrivals Inc. 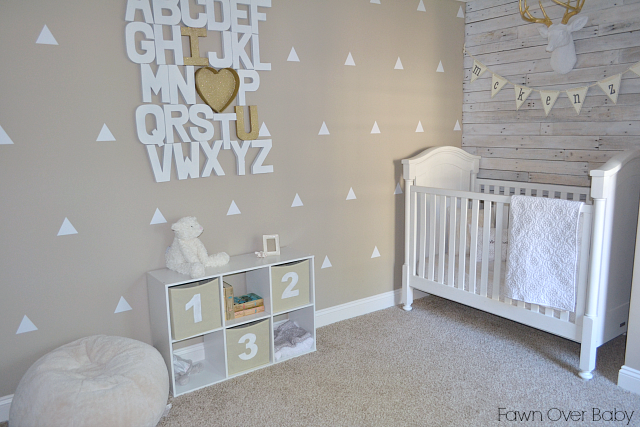 When you walk into Kenzie's room you are met with a big bare wall to your left, so I thought these adorable triangle decals from Urban Walls would be the perfect accent to help fill it out a bit! They speak beautifully for themselves so not much else was added. 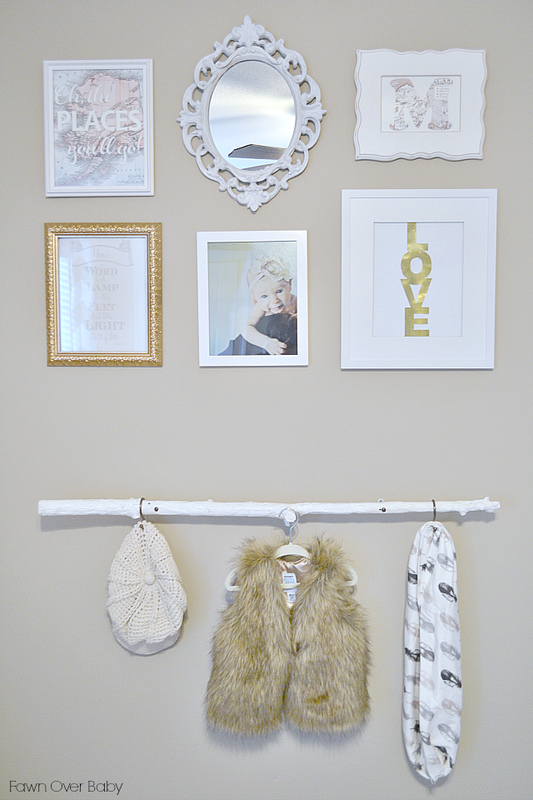 I found this amazing Alphabet Wall Art Tutorial from the blog Crafts Unleashed and thought it would perfect for this wall! You can find my tutorial here. I also added the numbers 1-2-3 on the front panel of the these storage cubes from Lowes (I just noticed I should probably switch the 2 & 3- it looks a little off, arranged this way -hmmm?)). 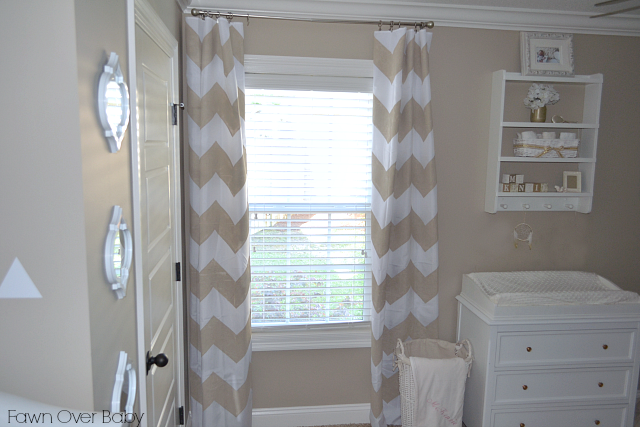 I searched high and low for an affordable pair of chevron curtain panels in beige and had no luck, so I decided to make them myself. I love how they turned out, however a lot of sweat and tears went into making these. Feel free to take a look at my tutorial here. 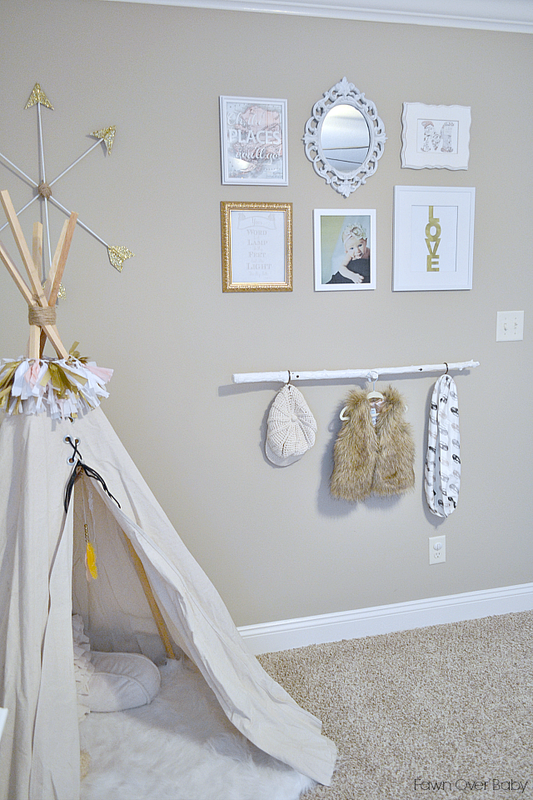 I added a fun Teepee to her corner for a cozy place to curl up with a book or to simple play pretend! I made this using a "No-Sew" technique and shared my tutorial here. Our ceilings at our last place were much higher than the ceilings here so I did modify the tutorial a little so that it would fit ok. All I did was cut the poles down to 6ft tall from the original 8ft that my tutorial calls for. Easy Peasy! 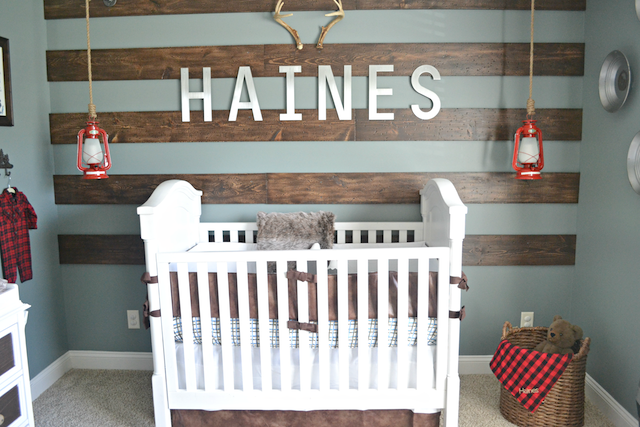 The M & H Pallet Wall Art is another DIY project. 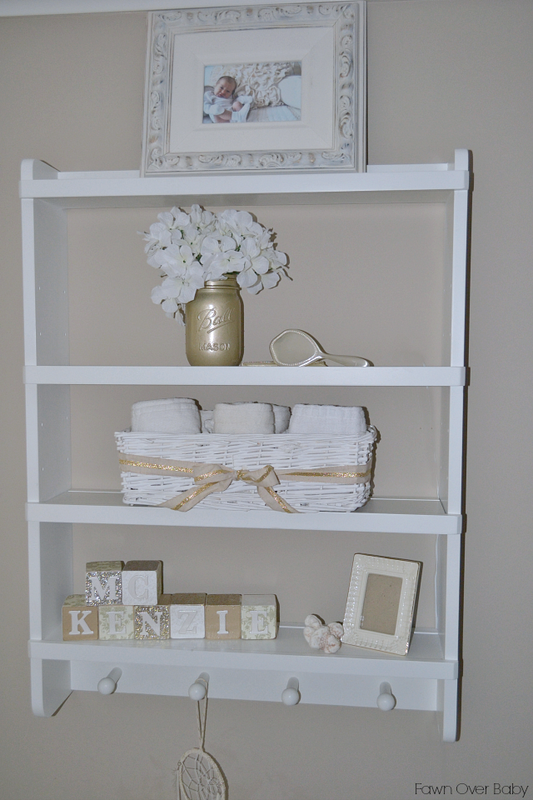 I originally wanted to put Kenzie's Chalkboard Toddler Table & Chairs below her wall collage, then decided last minute to add this cute little "Pretend Play" area with this Painted Tree Branch as a hanger for all of her dress-up clothes. 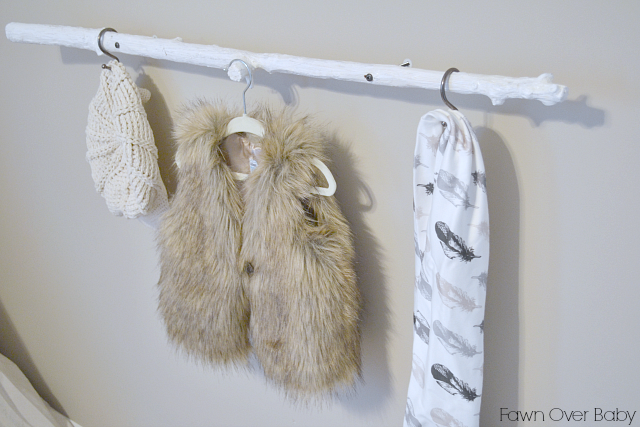 We haven't acquired any dress-up pieces yet so I just hung a few items from Kenzie's closet that we love. Well, That's All Folks! 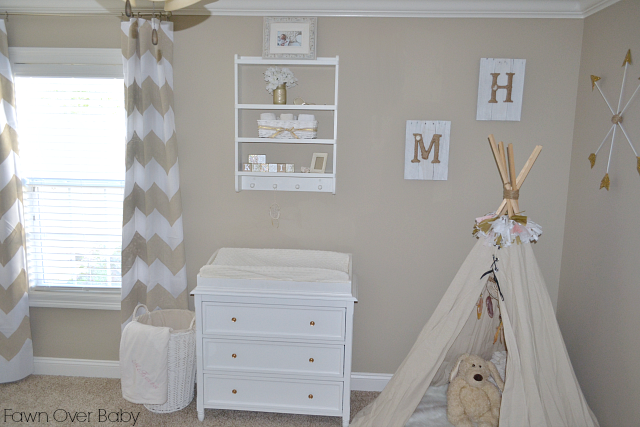 I hope you enjoyed peeking into my little McKenzie's Nursery! Feel free to leave a comment below with your thoughts and/or questions, I will do my best to reply as soon as possible! I hear ya Debra! 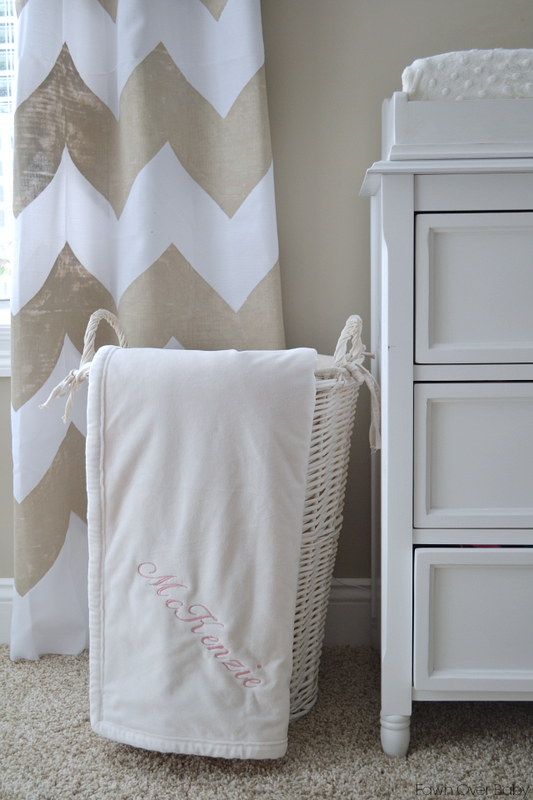 Who knew finding chevron curtains in the right color would be do hard? These are actually "no sew" panels. I'll try to have my tutorial up by this Friday! I love this!! 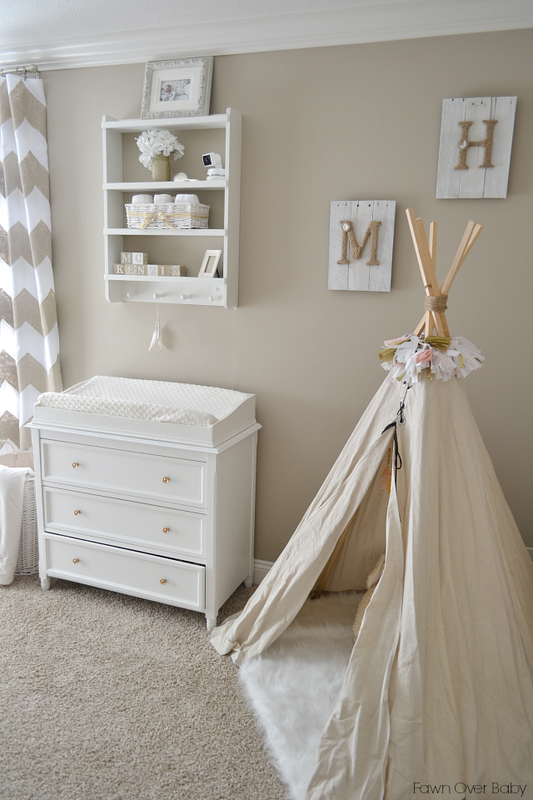 So beautiful and the teepee is precious! Thank you Rachel! 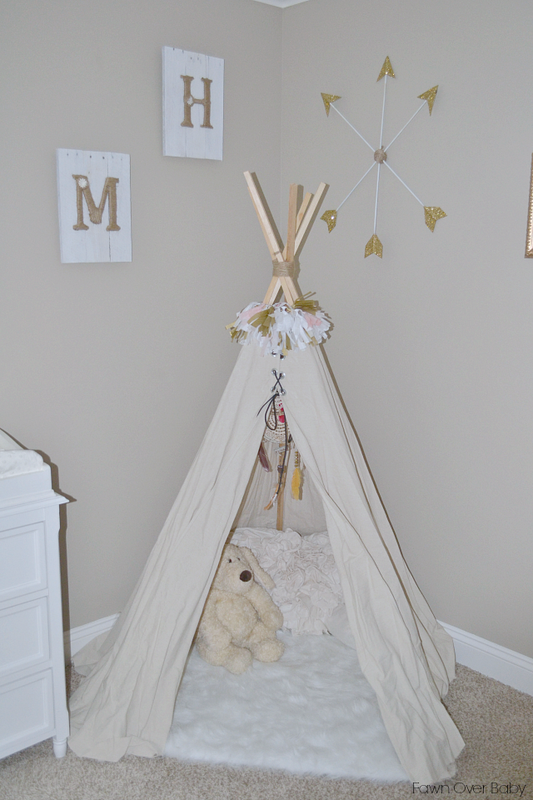 The teepee is so fun and easy to make! wow! totally amazing! Melissa! You should be an interior designer! How much of my retirement do I need to procure to get you to come do Fern's bedroom for me? Seriously. I'm so blown away. It's a total dream. Shayla you are always so sweet AND FUNNY! I wish I had the talent of an interior designer. I could never be one. I'm way to fickle about things and too much space to decorate make me anxious! This room came together after many sleepless nights trying to figure out what would work. With that said-I'm always excited to help out friends. So when are y'all moving to Valdosta, Georgia? Thanks Nicci! I hope my curtain tutorial didn't scare you off, haha! Love the room! Great job! May I ask, what color is the wall paint? Thank you so much Elaine! You know, that is a good question. :/ The walls were already painted when we moved in. I found left over paint in the attic and of course it was a custom mixture with no label. I wish I knew. By far one of the best Nurseries I have come across! Love it! 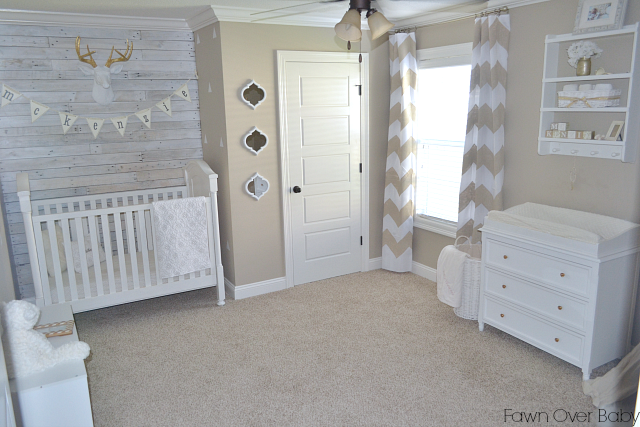 What a gorgeous nursery! So sweet and elegant:) I love, love, love her branch pretend area. Do you have a tutorial for that piece? Thank you so much Shayna! I do not have a tutorial! I basically just peeled the bark off , painted it white, then painted a poly sealer on top. Had my husband screw it into the wall with looong screws(with anchors), added "S" hooks and that's it! Hope this helps! Hi there! Ok so loooove this room. Adorable! I have a quick question for you. 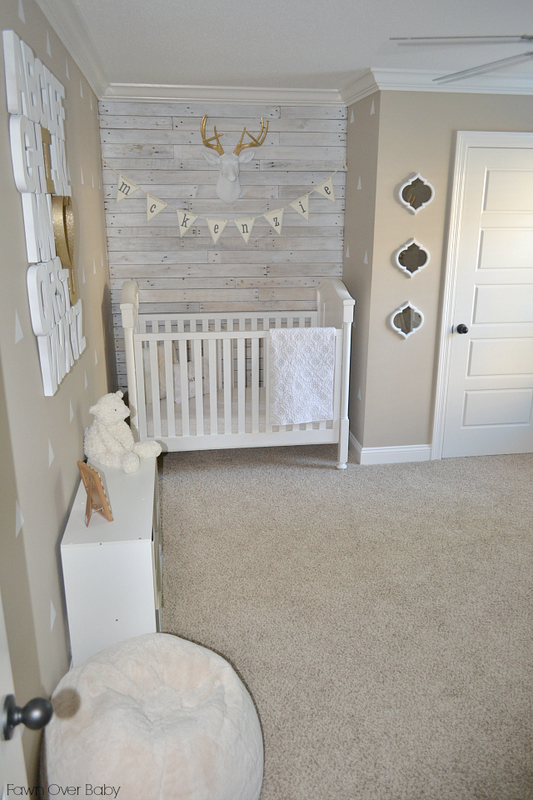 I own a kids decor shop on Etsy and we are all about doing DIY projects for moms who love the look of DIY but can't do it themselves. 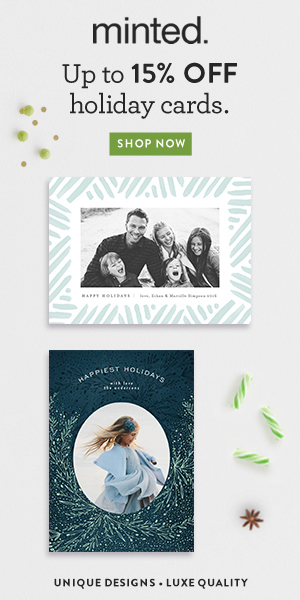 We want to do a line called: "As seen on..." basically offering customized version of designs they love and found of blogs like yours and pinterest. Would you mind if we use your pictures as an example? We'd give you full credit for the design on both the pictures and on the listing. Plus we would put your blog URL on our listing as well. We are averaging about 100-160 views a day so it could bring more traffic to your blog. Thanks for your consideration and let me know! I have a huge mess going on w tape. Not quite getting the triangle wall. 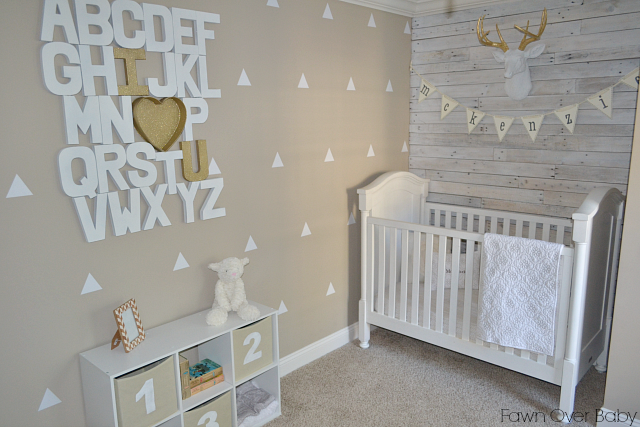 I actually want to paint an accent wall with white triangles... but I can't get a grid just right. Can you help me with the size of the triangle and how you got them to line up perfectly like you did? 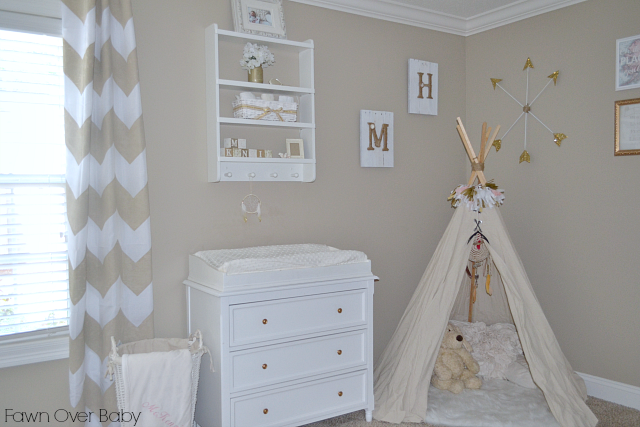 Thank you in advance I just love your room! Jennifer, I wish I could say that I put the triangles up. My husband was the handy one in this case. What I can tell you is he marked with a pencil where to put each triangle. He started at the top and placed a triangle against the right side wall. he then measure 14inch from bottom right tip (marked a tiny line), then measured from top tip over 18inch(marked with a tiny line), then peeled the triangle into place using the marked lines. He went the entire length of the wall using this pattern. The second row he measured 14inch down from the first triangle rom first row. Then peeled and stick a triangle in the middle of the two first triangles from the first row. (about 11.5 inches over from the wall). I hope this helps! Hi there, I love what you did with the room, especially all the little details. 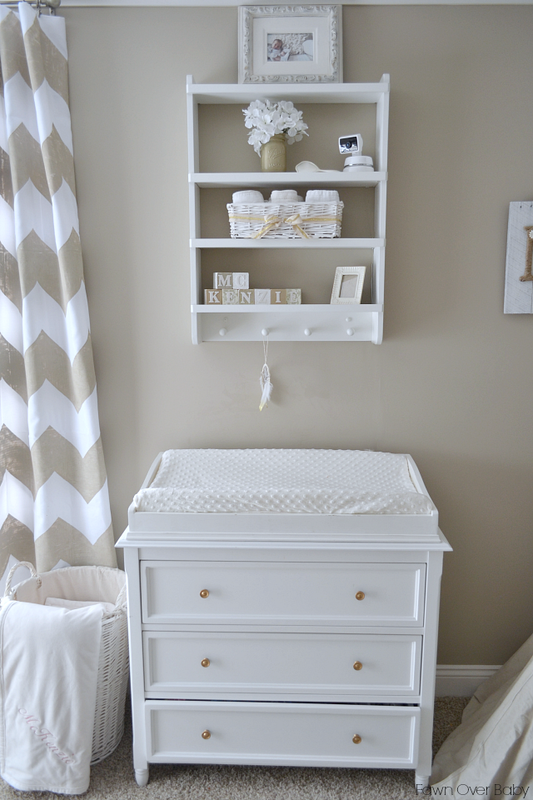 We are expecting our 1st little one in November and we're getting ready to start working on our nursery. 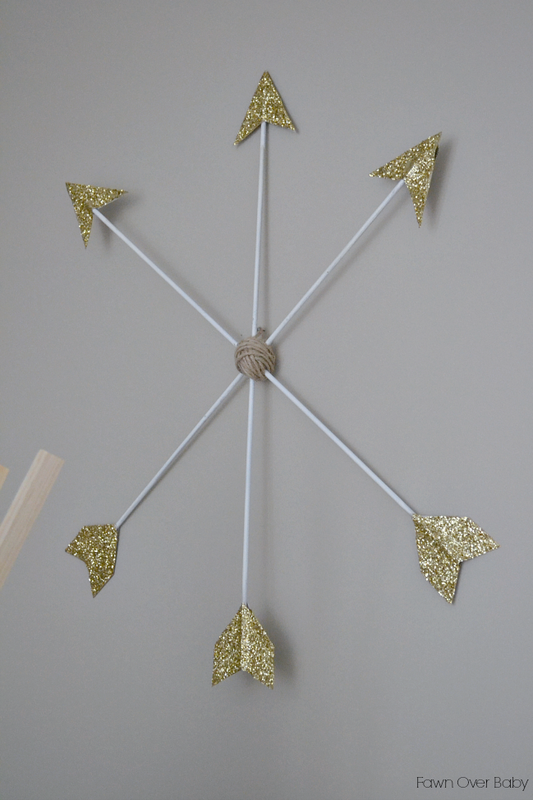 I really love the triangles and want to use them in ours. The link provided takes you to 4 inch sized triangles and 50 come in 1 pack in the Etsy shop. Question: Is this the size you used, and how many packs did you use? And lastly, what are the measurements for the wall the triangles are on? Trying to see how many packs we'll need to order for our room. Thanks for all your help!! 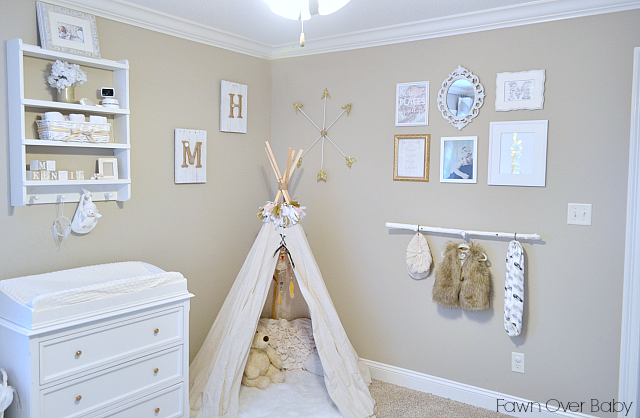 This nursery is adorable! Did you buy or make the ABC art? If you bought it where did you get it from? It is a DIY. If you do a search (Search Bar- Top Right A Ways Down From My Profile Photo) Just type in "Alphabet Wall Art". It's really easy to make! 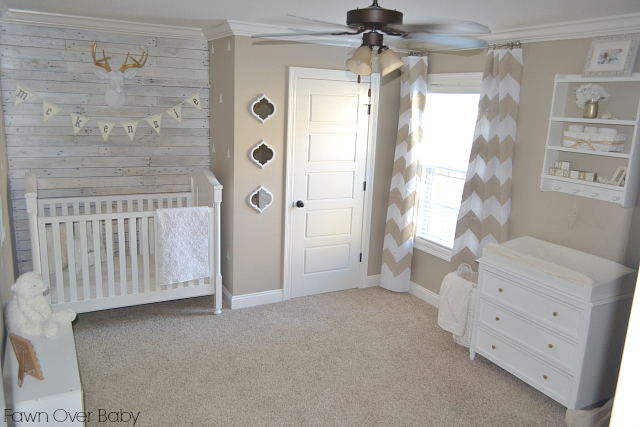 The nursery is absolutely gorgeous! What paint color did you use? Unless I missed it in your blog I couldn't find it. Thank you.